Of all of the many details involved in planning a wedding, choosing a photographer is one of the most important. The day you’ve waited for will be over before you know it, and with the right photographer, you’ll have beautiful memories to enjoy forever. The perfect photographs will transport you back to each moment of your wedding day, so you can relive your happiness again and again. Selecting the right photographer can be overwhelming, though, so how can you choose? Take a second to think about why you want a photographer at your wedding. Before you look for a photographer, you have to know what it is you’re looking for. Do you just want a few pictures of the day as a record of the event? Or do you want every carefully planned detail and heartfelt emotion to be captured and presented in a beautiful custom designed heirloom album that you can pass down through your family? Or are you looking for something in between? Think back to weddings you have been to recently. What about the photography did you like or dislike? Were the time-consuming group pictures a bore? Did you love that you hardly noticed the photographer all day? Was your friend’s custom designed wedding album amazingly awesome? Now consider what you want from your wedding photography. Do you want a low stress, no fuss day? Or do you want a posed picture with every person there? Take a minute to think of some keywords that express how you want your wedding photos to feel. On one end of the spectrum, you might have words like striking, posed, dramatic, or editorial. On the other end: candid, natural, relaxed, stress-free. Taking a moment to think about these things will give you a clearer picture (nice pun) of what it is you want. When do you want the photographer to arrive and leave? Options range from all day coverage (from shots of you getting ready until you’re dancing at your reception) to ceremony only coverage. It might seem easy to cut costs by having fewer hours of photography time, but some of the most meaningful shots often come from the getting ready hours, when everyone is all excited and emotional. We’ve caught grandma (and us!) tearing up at the sight of her granddaughter in her gorgeous dress, and this would be only a memory had we not been there to capture it. Your wedding day goes by in 12 hours just like any other day. Your photographer is the only person who can capture it forever. What do you want the finished product to be? It’s becoming more popular just to buy the digital files, as people think about saving money by making their own albums and prints. Also, people enjoy sharing their memories on Facebook or via email, and so having the files is very handy! Before you share or make copies of your images, however, remember that your photographer will need to grant you permission. The copyright of the photos belongs to the photographer. Most photographers (including us) include a ‘Personal Use Licence’ so that you can print and share your wedding day photos, but it is something to look out for! We would strongly encourage you to have your photographer design you a bespoke wedding album that will become a family heirloom for generations. Trying to DIY and navigate photo book software can be extremely time-consuming and infuriating. The quality of consumer level photo book companies is also not great. I’ve made them myself and was disappointed with the results, and that’s not what you want for your wedding album. 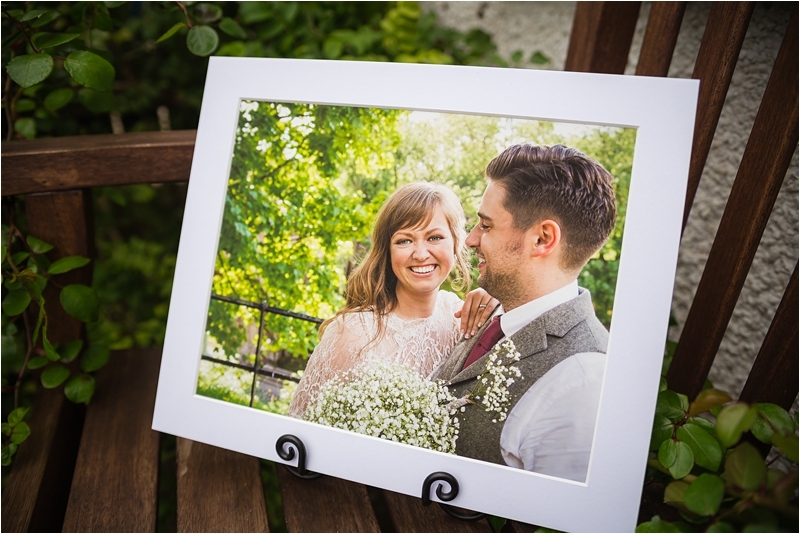 Read our article about what to do with your photos after the wedding for more advice. Again, it’s tempting to think of saving money by doing it yourself, but there’s good reason to let your photographer handle it. They have access to professional photo labs where the quality is second to none, and compared to consumer labs the difference is substantial! Also, it’s just a faff, having to deal with uploading and ordering then you have to annoy yourself with crop ratios, etc. Gah! Please, I implore thee, let your professional photographer handle these things, you won’t be sorry! Another add-on that proves popular is the engagement session. This is a casual session that takes place before the wedding, anytime from 2 years to 2 weeks before the big day. We honestly cannot recommend these sessions enough; we love them! It’s a great chance to get used to being photographed, to practice posing and to see how you look in pictures. You can also use the experience to try out your hair and make-up, and you’ll get some beautiful pictures out of it. These can then be used for save the dates, your invites, a photo guest book or just some great new profile pics on Facebook! This will also give you the opportunity to see how you get on with your photographer. If you’re just not clicking then you have a chance to change your mind and pick someone else for the wedding. You might wonder why there is such a price difference between photographers. Allow me to get my analogy on. If you go to the hairdressers for a haircut, you can get it done by a trainee for £20, or you can get it done by a senior stylist for £100. The end result is the same; your hair gets cut, so why do people pay more for the senior? Knowledge, technique and experience! My advice would be, if you’re not that fussed about your haircut, you can go with someone who is newer and get a reduced price, but you take the chance that your fringe might be squint. If you care about your haircut, go with an experienced professional and be prepared to pay for their expertise, but rest assured that your hair will be beautiful. Now that you’ve considered all your options and have a rough idea of what you want, let the search begin! Once you’ve decided on your budget, a great next step is to ask your family and friends for recommendations. I’m sure people you know have been married recently and they can give great feedback on who they used and how it went. There’s nothing more valuable than a personal recommendation from someone who has used and trusted a certain photographer to document one of the most important days of their life and was thrilled with the results. Check your favourite wedding website for vendor listings. Websites that I would recommend are: Offbeat Bride, We Fell in Love, The Wedding Collective and Braw Brides. And of course, there’s Google. Ah, Google, what would we do without you? But it does have a drawback: type ‘Glasgow wedding photographer’ into Google and you get 801,000 results. Where do you begin? 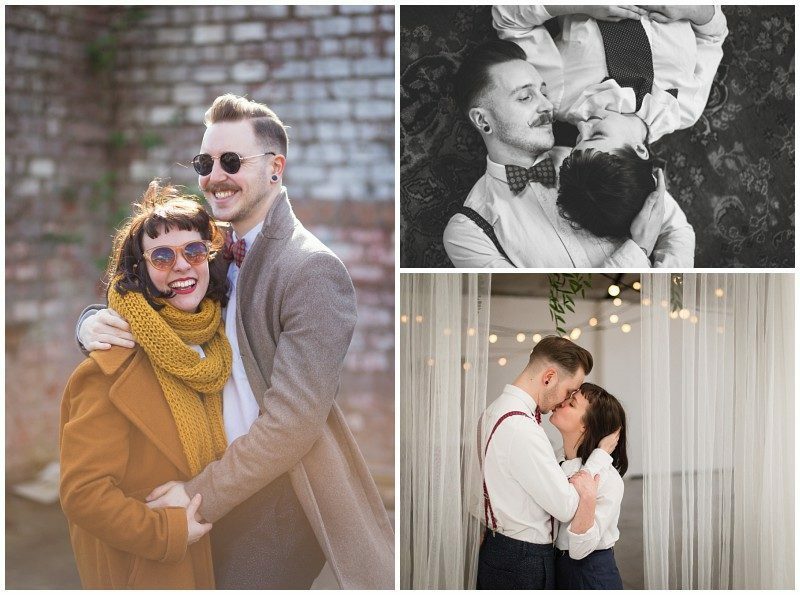 To tailor your search to something more personalised, try adding some keywords that describe your wedding, like vintage, unique, offbeat or modern. You can also try adding the name of your venue, and you will find photographers who have worked there before. Then you can decide if you like how they captured it. You just might turn up your perfect match. Directories can be a great place for a browse too. 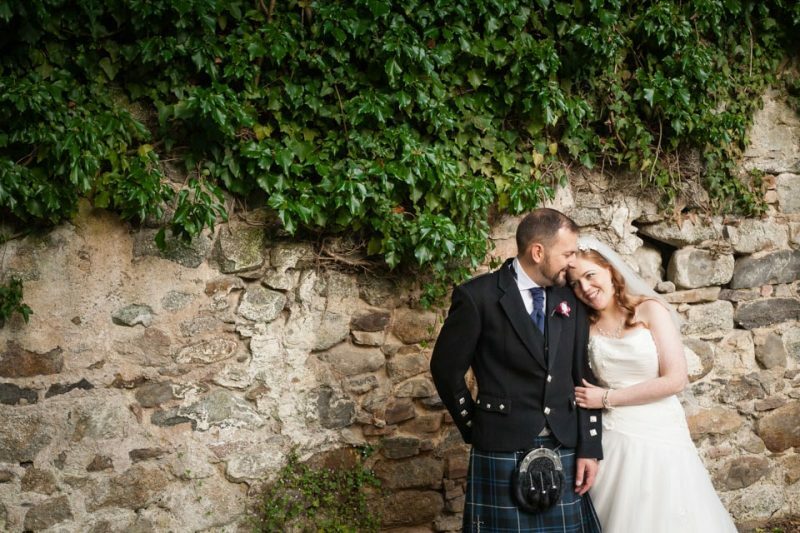 Try the Scottish Wedding Directory as a starting point. Gumtree is a great resource to find up-and-coming photographers. It is mainly newbies who advertise on it because it is free, so you might find the quality to be a lot lower than that of Google or a vendor listing on a wedding website. However, you might just find a diamond in the rough! The photographers on there are usually at the cheaper end of the scale as they are less experienced, but as long as you are comfortable with that and set your expectations accordingly, you could end up with a great deal! 1. Do you like the photos, do they move you? Ok is not good enough. You will find someone you love, who speaks to you. Photographers show what they love, so if you don’t see anything that grabs you, chances are you won’t be a good fit. We don’t show many posed group shots as we feel these can detract from the day when you spend too long doing them. We show a few to show that we can do them and we know it’s obligatory, but we don’t show all posed shots because that’s not what we want to do. So if someone contacts us with a 6-page shot list, we are not a good fit and would refer them on elsewhere. 2. Can they meet your needs? Do they provide everything you require? Are they in budget? Hopefully, they have starting prices listed on their site, so you can gauge whether they are within your budget for what you want. 3. Add them on Facebook, check out their blog, and see if they are posting beautiful pictures regularly. See if you like the style, humour and personality that they convey. 4. Now that you’ve found a few you like, meet up with them for a consultation. It’s really important that you like your photographer and that you get on. You will be spending your entire wedding day with them. Look for a photographer who reminds you of yourself, your family or your friends in some way. That way you are comfortable around them. Check over their samples and view a full wedding gallery to get a better idea of their work. 5. Love their work? Feel that they are within budget? Like them personally? Book them! And relax. 1. Know what you want. Hours of coverage, digital files, albums, wall art, engagement session. 2. Know your style. Dramatic, posed or natural, candid. 3. Know your budget. Not fussed about photos, get a newbie for a better deal. Photos important, hire a pro. 4. Ask around for recommendations. Check your favourite blogs for the top dogs, Google if you have a lot of time on your hands and Gumtree for the cheap and (hopefully) cheerful. 5. Meet up with a few, see their work & products and get a feel for them and if you’ll be a good fit.